Ljevid wrote: Yay... Space Germans!!! Garys guidance, was that you use Carroburg Crimson thinned down and paint two coats over the models, which the one on the left is, but I didn't thin down my Crimson enough and it's way too dark. This shows how heavy the pigment in this wash actually is! So next time around, I will be using a much thinner wash of Carroberg to medium, maybe around 75% medium because it's always easier to add on then take away. These ships however will stay as they are, the lighter ship has had an extra wash to bring it inline with its sister ship. 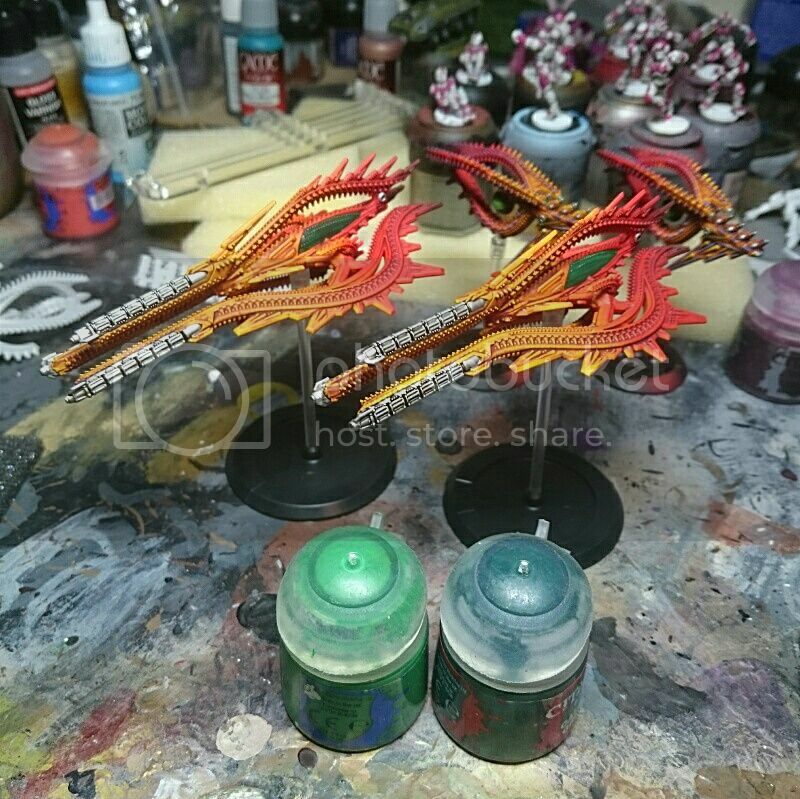 It's been a while but I have finally had some time to put more paint on my Shaltari Frigates. Painting all the dots this time, I feel I may have missed a few details but I can add them as I go. Also I feel my green lights and gems the base layer is too bright, I used Warpstone Glow and I will be using a darker green next time around maybe. As for colours here they are. 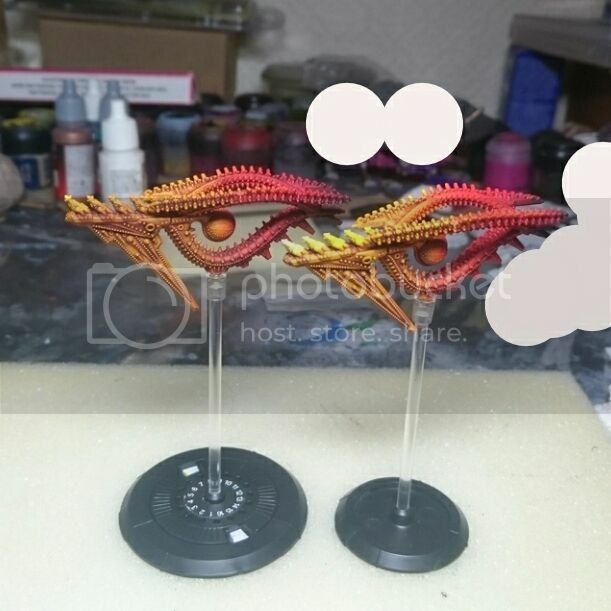 If you would rather drybrush the highlights onto the ships, you will want to do this before you start painting the lights. I think it's lovely, sir! Well done! J.D. Welch wrote: I think it's lovely, sir! Well done! Cheers dude, this is my first project in a long time where I am really self critical. With the Resistance the scheme really clicked with me and I barely did any self analysing on that project. 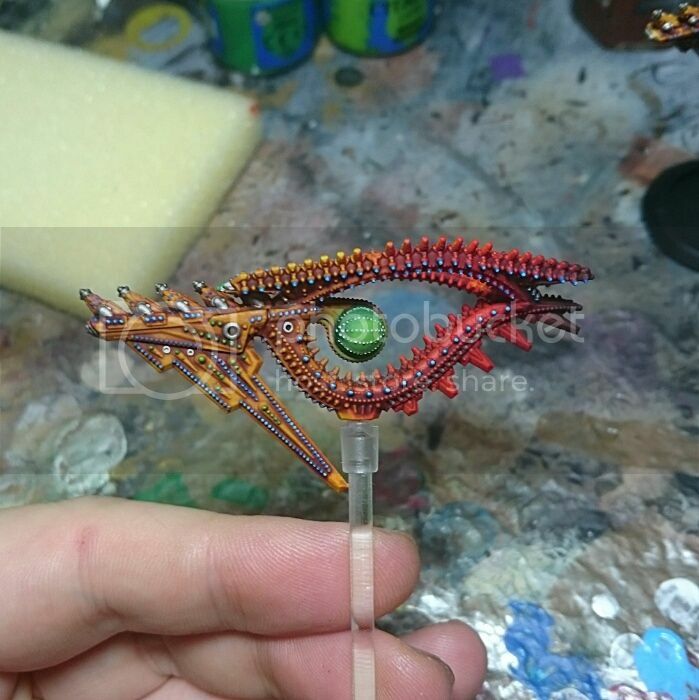 The shaltari however a lot of the process has been a big learning curve and I have had to look what I have done and make improvements where possible. Here's to hoping the next model is stupendous It'll be a cruiser next, most likely the basic one that I have built. My other three are a mothership, and three heavy cruisers for ALL THE GUNS!!!!!!! Stop beating around the bush -- just get a Diamond battleship already! Hello all again, got myself a Avalon Battle Cruiser from a very generous man indeed for a fair price. So why not start a second fleet, MOAR TOYZZZ!! !